Kareem Abdul-Jabbar has not played in an NBA game since June of 1989. His Los Angeles Lakers were defeated for the NBA Title that year. Abdul-Jabbar retired after that defeat. Kareem Abdul-Jabbar had a splendid and distinguished basketball career. From 1966 to 69, then called Lew Alcindor, he played NCAA basketball for UCLA. At UCLA he was a three-time champion, 3 time NCAA Final Four Most Outstanding Player, 3 time National College Player of the Year and his number 33 is retired at UCLA. His outstanding college career was followed by being the number one overall pick at the 1969 NBA Draft by the Milwaukee Bucks. Abdul-Jabbar played 20 seasons in the NBA. He spent the first 6 with the Bucks and his final 14 years in a Lakers uniform. Kareen Abdul-Jabbar won 6 NBA titles, he was a 2-time Finals MVP, a 6-time NBA MVP, 19-time All-Star, a 2-time scoring champion, and he was also Rookie of the Year in 1969. He has more honors and distinctions from his 20 year NBA career which is a long list. Kareem Abdul-Jabbar holds a number of NBA records, as well. He is the all-time leader in minutes played at 57,466. Jabbar also holds the most made field goals record at 15,837. The most impressive record has to be total career points scored at 38,387 with a 55.9% field goal average for his career. What makes the record stand out further is that Abdul-Jabbar played in an era when the 3 point field goal was not a staple play in the game. The three-pointer was never really a shot the center would take anyway. Kareem Abdul-Jabbar, a 7’2 center, made exactly one three-point shot out of the 15,837 field goals that he scored. His points scored record was amassed the hard way. However, many of those two-point field goals in the post came from the shot Jabbar immortalized, the skyhook. There was nobody who could stop or block that shot. Kareem Abdul-Jabbar compiled 38,387 points in 20 seasons with 57,486 minutes in 1,560 games. Jabbar’s career scoring average was 24.9 points per game. Many players may average 24 points per game for a few seasons but as they age or join a better team their average falls off. For example, Dirk Nowitzki and Vince Carter have each surpassed Jabbar’s 20 seasons. However, they do not come close to his scoring average. They have had the longevity, but the excellence has tailed off. 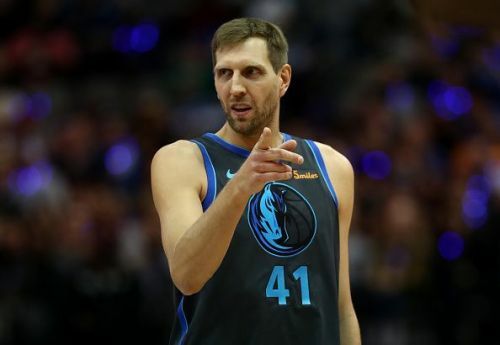 In Nowitzki’s case, he has had 13 seasons in which his scoring average has been above 21 points per game. Nowitzki also has 1,472 games but has only accumulated 31,189 points. Nowitzki has played one game this year. It's strongly expected he will retire in the summer of 2019 and is 7th all-time in NBA scoring. Vince Carter is in his 21st year, like Nowitzki. Carter has 10 seasons scoring over 20 points a game and has played in 1430 games. Carter is 22nd in scoring all-time with 25,048 and his career scoring average is only 17.5 per game. Vince Carter has to be close to retirement and more so to that than he is to Jabbar’s scoring record. Other players who played 15 or more season who trail Jabbar’s scoring record include Michael Jordan (18 years), Kobe Bryant (20 years), Moses Malone (19 years) and Shaquille O’Neal (19 years). 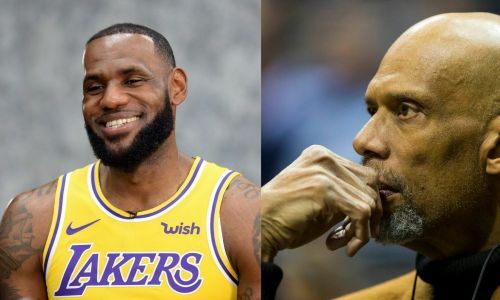 The formula employed by Kareem Abdul-Jabbar was longevity, playing the game at a high level of excellence throughout his entire career and playing a lot. Jabbar's playing time dipped in his last two seasons when his minutes per game were 28.9 and 22.9 in 1988 and 1989. Most players decline in skill, stamina and productivity as they play through their mid and late 30's. Jabbar's record is truly legendary since he played to age 41 and was still averaging 23.4 points per game at age 38. NBA: With Wade out, where are the other 'Banana Boat' guys heading? Why Kobe Bryant may be slightly overrated? Who's more clutch: Kobe, Melo, KD or LeBron?